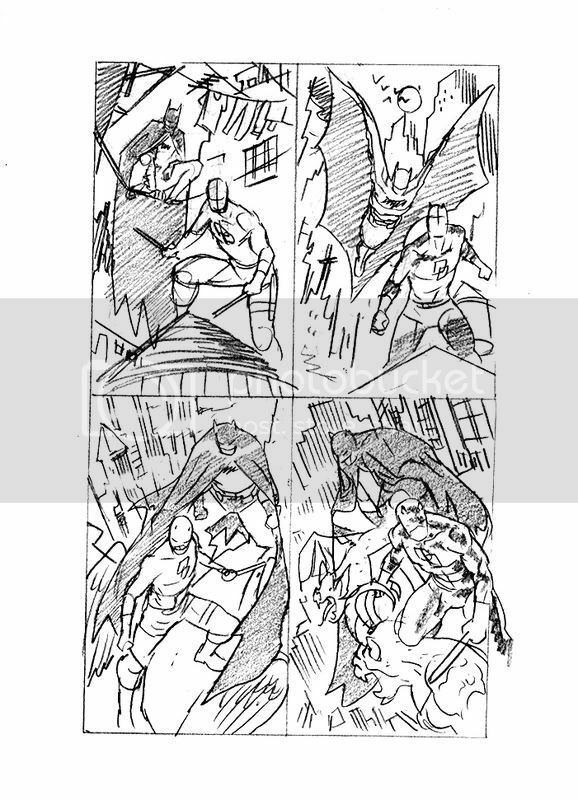 Daredevil and Batman by Samnee, Oh My... Daredevil and Batman by Samnee, Oh My. What a combo. The thumbs look fantastic. I am plumping for either 3 or 4 and about to go to the lk and find out how wrong I am. Just checked comic-fans and seen the inked version. Really stunning piece. And I can now say - honest and for true - that number 4 comp was my favourite. The cityscape is fantastic,; and Bats' cape. The commissions seem to get better and better. ... but before I do, I really dig all of 'em! Aww, you guys totally cheated. Thanks for being interested enough to do a little sleuthing though.